Soni Razdan feels very strongly about her new release, No Fathers In Kashmir, and it is not only because of her Kashmiri roots but also because she feels that the film (which released on 5 April) is relevant in present times. “It is an extremely relevant film because the more understanding we have about Kashmir, it is still not enough. We want to solve the problem and for that, we need to know why things have gone so wrong there. If you are allowed to discuss the issue openly and freely only then it is possible to solve the problem. Things can’t go beyond this point, they have to now reverse it. It has to come back to normal and we have to try our best to make sure that it happens. Why is the youth out there moving towards militancy? We need to understand that,” says Razdan sounding a bit stern. The film is about a teenage British Kashmiri, Noor, who retraces her roots in search of her father with Majid, a local Kashmiri boy. Razdan plays the grandmother of the girl whose father has vanished in the valley. As soon as the film’s director Ashvin Kumar shared the script with her, Razdan says she read it and immediately gave her nod. “I loved it and wanted to be a part of it. But Ashvin said you don’t look old enough to be a grandmother and I said just try me out, that is my problem (laughs). It is a special film for me because of the subject, story and space. I am very proud to be part of the film. I felt I was doing some good work and that made me very happy during the shoot," said the actress, who believes that the film is quite close to reality. “It can’t get closer than this. 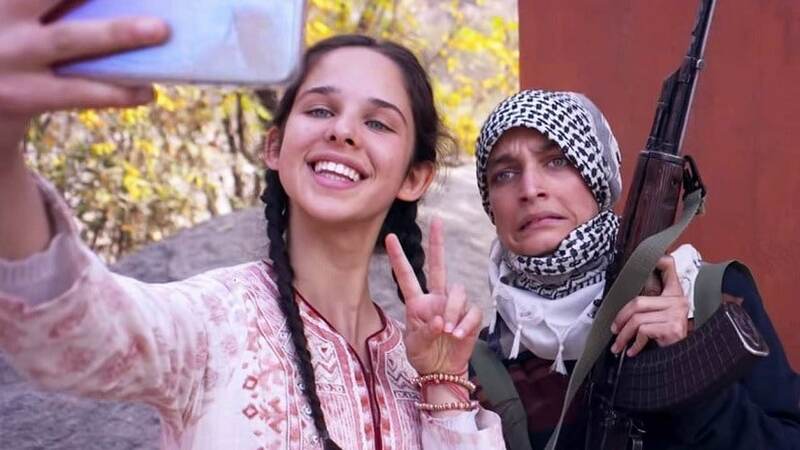 What I really love while watching this film is the real people who even in a terrible situation, in a conflict zone, want to live, laugh and enjoy life which I find heart-wrenching. Also, since I am half-Kashmiri that is like icing on the cake. I am always partial to anything that comes from Kashmir. But I have never lived in Kashmir, I can’t claim to be that kind of Kashmiri. I find it very difficult to speak that language. I am very much a Bombay girl,” she further says. Razdan says, she felt relieved when the film was cleared by CBFC (Central Board of Film Certification) after a nine month battle. “But it was bizarre that the film was given an A rating, something that the producers had to fight against. There is nothing in the film that was so objectionable. Kashmir is definitely in the space, in the minds of people because there is a lot going on there. So any film that helps you to understand the Kashmir issue and at the same time entertains you, how bad can that be? It definitely deserves to be watched. I thought the CBFC would have welcomed this film with open arms but they (CBFC officials) are just worried about unnecessary controversies. The film didn’t have to take so long to release. It’s a young teenage love story, so it possibly couldn’t have got an A certificate. It’s so innocent and pure,” she said. And even as it was a tough shoot as the film was shot in extreme temperatures, Razdan says it was their love for the film that never stopped the momentum. “We shot in November-December 2016 in areas where there were no proper hotel. In fact, we had to literally set up a hotel. It would be freezing in the nights and hot during the day. It was a low-budget film with no amenities but it was our love for the film that kept us going. It was lovely working with Ashvin because he is very clear in his head about what he wants. He had written a beautiful script and we wanted this project to be a good one,” said Razdan. Interestingly, Razdan went back to Kashmir for the shoot of Raazi and later she visited the valley again to understand the situation. “I went back to Kashmir. Out of curiosity, I met some people and I did my own research because I wanted to know more about what is going on there. The funny thing with Kashmir is the more you know the more you realise you don’t know. I am sure by keeping that in mind we have that tagline — 'Everyone Thinks They Know Kashmir'. Kashmir is fascinating and incredibly intriguing. Some Kashmiris who are living there have admitted to me that they don’t understand Kashmir themselves. Then what chance do we have? We are outsiders,” she says. 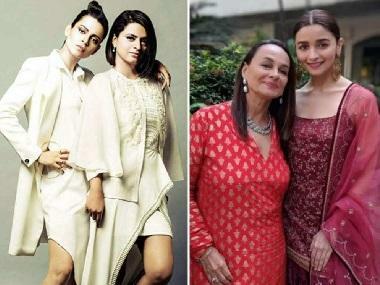 And Razdan is extremely pleased to get support from her star-daughter Alia Bhatt, who was at times seen with her mother during the film’s promotions. The young actress even hosted a special screening of the film besides sharing the film's trailer on social media for her fans to watch. “Alia is so busy that I don’t get to meet her and at times, I have to visit her on her sets because I haven’t seen her for days. With great difficulty, we are going to meet for dinner tomorrow night. She doesn’t have the time and now even I don’t have the time. She wanted to go for a swim with me today and I told her I can’t because I have promotions to do and she was like, ‘Great’,” said the proud mother.